When you’ve got a kitchen in your home that feels tired and old, you can often feel daunted by the amount of money you’ll need to spend in order to give it an update. 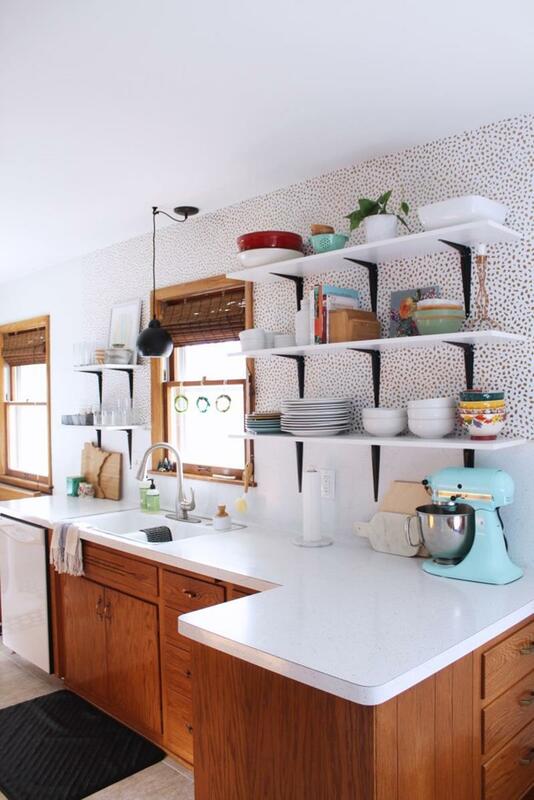 However, before you start hoarding money, hoping one day to hit the magic number, take note: It’s entirely possible to give your whole kitchen a new (and functional) look for pennies on your imagined remodeling budget’s dollar. 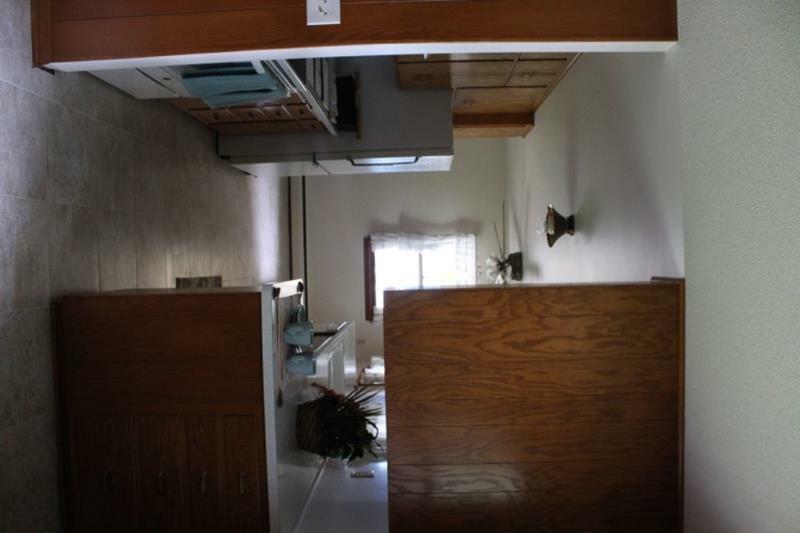 There can be no denying that the styling of this 60s kitchen leads to a space that feels dark and closed in. 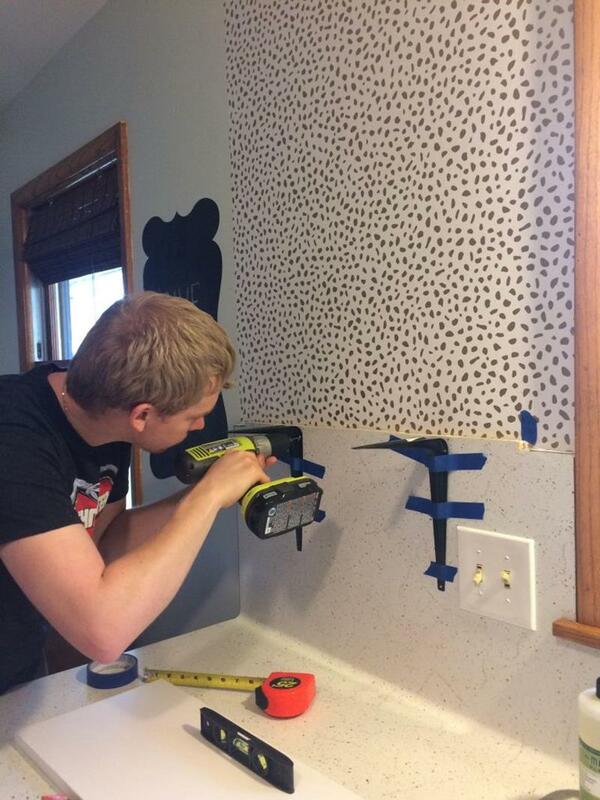 In giving this space the new, fresh look that it needs, the first step was pulling off the wall cabinets. 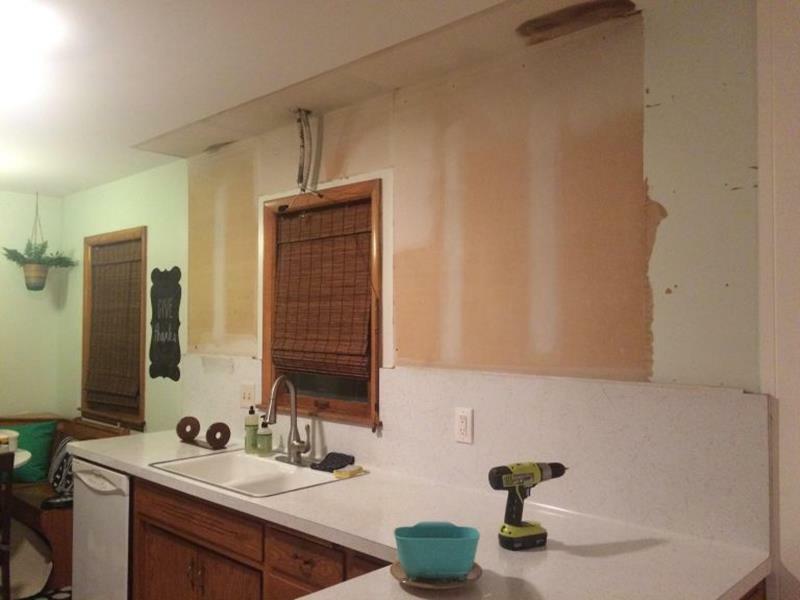 Those wall cabinets were not coming back (as they made the space feel closed in), and so the walls needed to be tidied up! 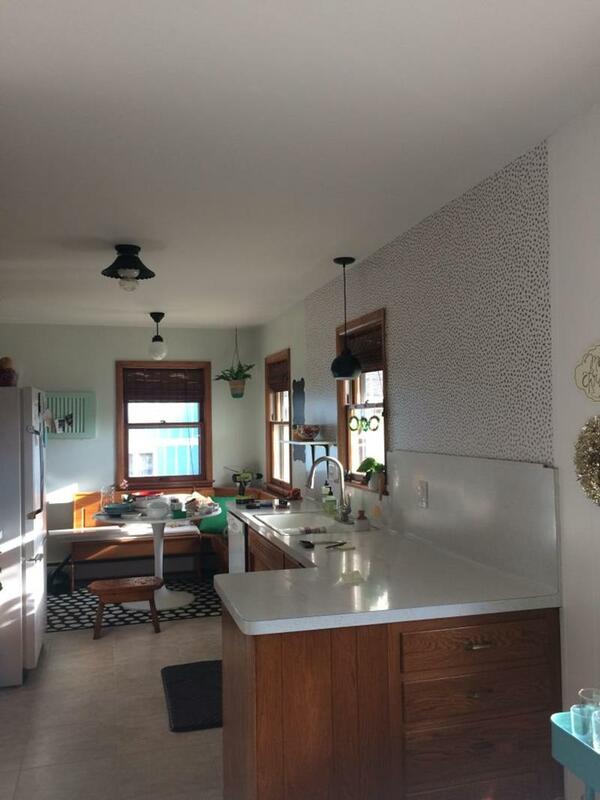 To add some brightness to the space, a charming and simple-patterned wallpaper was added where the cabinets used to be. 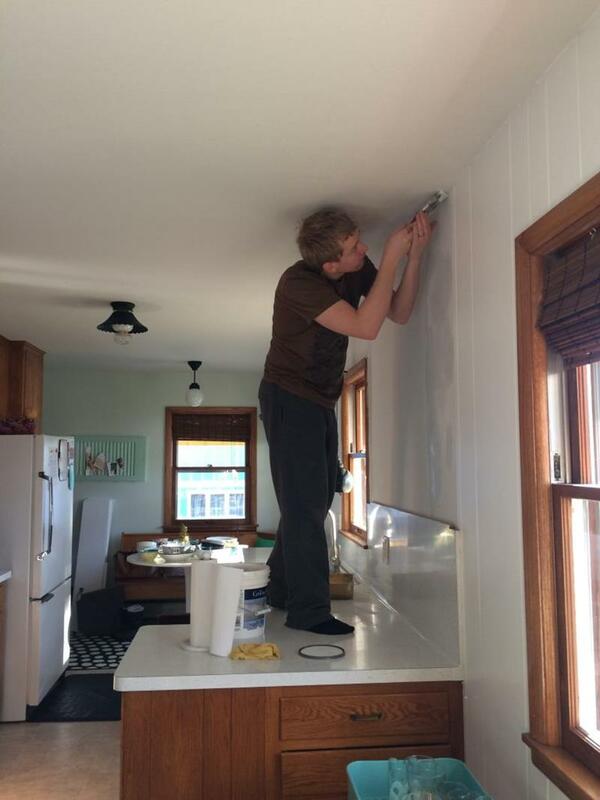 Instead of having the wall cabinets reinstalled, these homeowners decided to install open shelving instead.